Sleep Away Camp for Dirt Loving Adults! Mt. 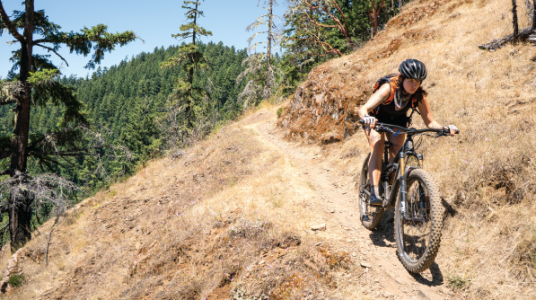 Bike Oregon is a mountain biker’s dream come true. The event takes place at the epicenter of some of the world’s best mt. bike trails. Riders come from all over the world to ride their hearts out for three very full days. The event features on-site camping, shuttled rides, clinics, free demo bikes, a FREE Drinking Garden under the starry night sky, breakfast, lunch, snacks and so much more – all included with the cost of entry. Mt. Bike Oregon is all about fostering the stoke of the trail and building community. The 14-year-old event is well known for the supportive atmosphere, friendly riders and top notch setting. This is a particularly awesome event for women coming alone or in groups as there are women-specific rides and a chill vibe. Non-riding guests are most welcome at the event and they get full access to just about everything other than the shuttles Camp, chill out by the river, fly fish, kayak, hike and explore this outdoor playground nestled between Bend and Eugene. For intermediate or advanced riders.